In 2005 following extensive market research Mexican baker Bimbo made a bold move, it brought out the Chinese subsidiary of a Spanish bakery, staking its future and overseas expansion plans on a country with no tradition of eating bread or pastries. The company adapted products, adding beef and red bean paste to some of its products to “sinicize” them. It also adopted a flexible rollout strategy, constantly experimenting and changing operations to whatever worked best in different regions and circumstances. The gamble paid off, the Chinese middle classes had a taste for novel new products and now the company is Mexico’s biggest commercial success in China. The company is emblematic of the fast growing trade and investment links between China and Mexico, but this relationship has become very one sided. While China often runs a trade deficit with developing countries, thanks to its massive demand for commodities. With its Mexican trade it runs a huge surplus. China exports $52 billion to the Central American country, but Mexican exports are worth a paltry $6 billion in comparison, the disparity might be part of the reason behind Mexico’s attempt to complain about Beijing’s subsidies at the World Trade Organisation. Mexico claims that China is breaking WTO rules by subsidising and giving tax breaks to its textile companies. This complaint could well be forgotten now that Herminio Blanco, the former Mexican Finance Minister is standing for Director- General of the WTO, and will want Chinese support, and has even going so far as to promise to appoint a China national as a deputy. The WTO has a one member, one vote rule, but China will obviously play a leading role in selecting a candidate. Mexico is a heavy importer of machinery and manufactured goods from China, which is also an area that Mexico excels in, particularly in sales to its big northern neighbours, demonstrating that perhaps the two economies are in similar stages of development and producing similar items, cars, processed food, footwear, items that require a decent level of skill and technology to produce, but are typically too expensive to make in developed economies. 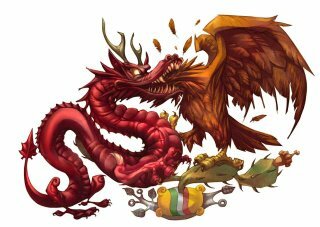 The fact that China can out-compete Mexico is no great surprise; it’s the same story with much of the world. Now that story looks set to change, thanks to the rapid convergence of the two countries average manufacturing wage level, China’s has increased to close to the level of Mexico. In 2000 the Chinese manufacturing wage was 30 cents an hour, compared to the Mexican USD 1.5, now the Chinese earn USD 1.6 and the Mexican USD 2.1, massively closing the gap in their competiveness. Mexico could take advantage of this increasing its exports to the USA and other parts of the globe at China’s expense.